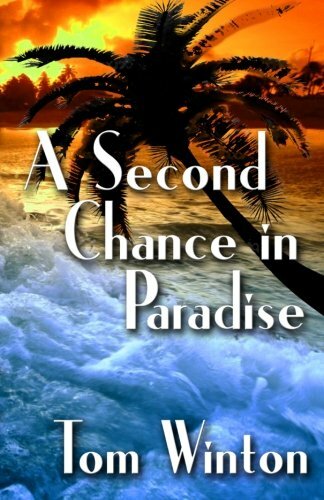 With nothing left to lose, and little in his pocket, Sonny chucks it all and drives his aging van fifteen-hundred miles to the lower reaches of the Florida Keys. All he wants is to get over his recent losses and simplify his hectic life, and that's exactly what he thinks he's doing when he settles on a paradisaical speck of an island known as Wrecker's Key. While surrounded by the warm aquamarine waters of two tropical oceans, he not only falls in love with the key but also establishes a close bond with the free-spirited locals who call it home. But all isn't blue skies, swaying palms, and coconut oil on Wrecker's Key. There's trouble wafting in the warm breezes that caress the island. Although Sonny certainly isn't looking for romance, he soon finds himself falling for his next door neighbor, ex-model Julie Albright. He well knows that she might very well be the kindest, most beautiful woman to ever grace his eyes, but there's a snag. Julie has a small physical flaw that, no matter how hard he tries, Sonny can't overlook. And his feelings are no secret to Julie. She can read them, and they weigh as heavy on her heart as they do on his. Then things get even worse. One night, under a cover of darkness, danger drifts up the deep, silent currents from the lower keys--serious danger--life and death danger, and Sonny Raines finds himself right in the middle of it. Said to be a man who writes with his pen dipped in his soul, bestselling author Tom Winton has been listed as one of Amazon's Top 100 "Most Popular Authors" in both Literary Fiction and in Mystery, Thriller and Suspense. Born in New York City, he has done everything from working on a railroad gang in the Colorado Rockies to driving a taxicab in Manhattan. He's been a mailman, a salesman, an entrepreneur and more. Now living in Florida with his wife Blanche and their ill-tempered but lovable Jack Russell terrier Ginger, Tom is working on his sixth book. Tom's novels have been likened to such classics as Catcher in the Rye, To Kill a Mockingbird and more. His titles are Beyond Nostalgia, The Last American Martyr, Four Days with Hemingway's Ghost, Within a Man's Heart, A Second Chance in Paradise, and a short story collection The Voice of Willie Morgan.